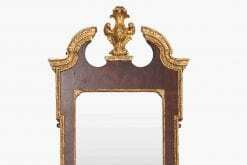 19th Century William IV English giltwood overmantle mirror. 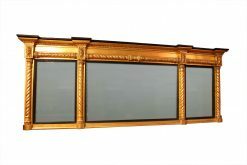 The sides and upper edge within half columns with lotus and acanthus carving with interlinked acanthus leaf crest above. 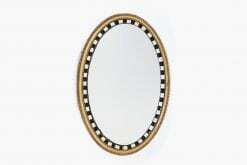 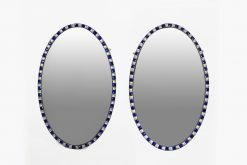 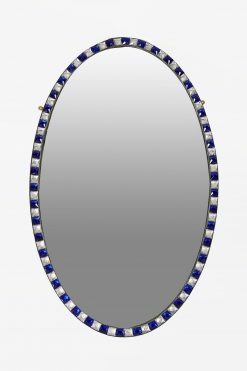 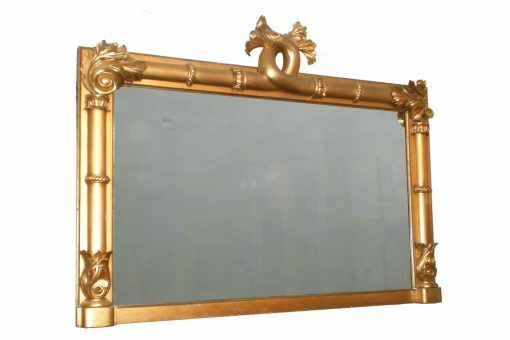 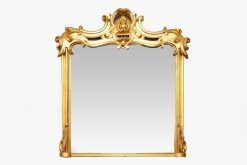 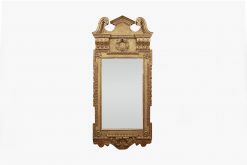 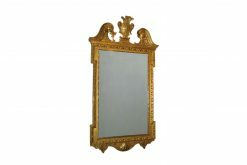 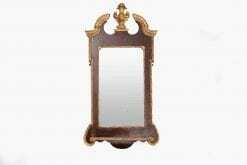 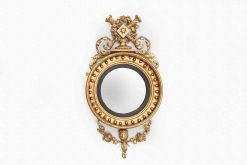 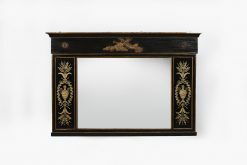 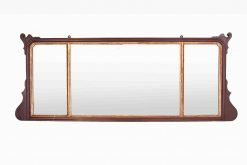 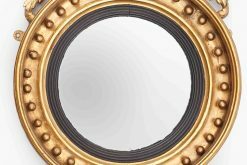 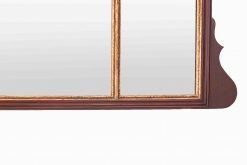 To enquiry about "6500 – 19th Century Giltwood Rectangular William IV Mirror", please complete the below form.